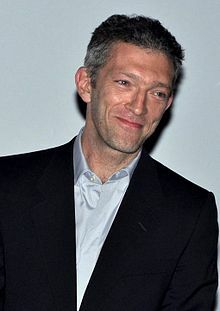 Vincent Cassel (French: [vɛ̃sɑ̃ kasɛl]; born Vincent Crochon, 23 November 1966) is a French actor best kent tae Inglis-speakin audiences throu his film performances in Ocean's Twelve an Ocean's Thirteen, as well as Black Swan. Cassel is an aa renained for playin the infamous French bank-robber Jacques Mesrine in Mesrine: Killer Instinct an Mesrine: Public Enemy Number One. This page wis last eeditit on 28 November 2016, at 00:57.